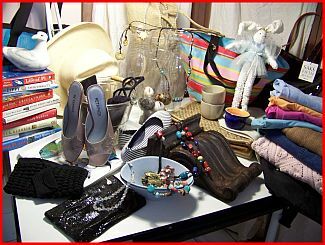 Turn your cluttered closets & cupboards into cash! Keep a box in the bottom of your children’s closets. As clothing is outgrown, add them to the box. If they’re not getting use out of a plaything, book or video, put that in the box too. Soon, you’ll have a batch ready to take to your favorite shop. Did you take the 52 Things Challenge? If you took our 52 Things Challenge to dis-burden yourself, chances are you ended up with a pile of possessions that you didn’t like, love, care about or choose to care for any more. Here’s how I passed on my underloved things, and how you might too. Now who will love these 52 things more than I do? Placemats: DONATED to my favorite consignment shop, to keep knick-knacks from scratching the for-sale furniture. Hurricane lamps: CONSIGNED at same shop, as well as the ice bucket, tray and wall shelf/bracket. Straw Stetson: DONATED. A local nonprofit shop sets aside things our migrant workers need. A straw hat is right, since much of the work these men do is under the brutal Florida summer sun. Mid-Century bowls: SOLD to local vintage-furnishings shop. Art-show bowls: CONSIGNED. Orphan salsa bowl, in the DONATE bag for the local thrift shop which raises funds for a cause I believe in. 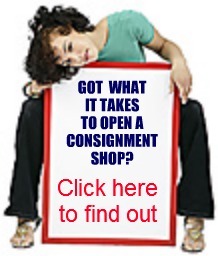 Tote, bag, knapsack, shoes, clothing: CONSIGNED. Four black vintage handbags: UNDECIDED. I thought I’d try them on eBay, since I never have done that. But seeing the listings there, perhaps I’ll just consign them or ask at a few local antique shops. We have no great vintage shops around, although this might send me on a quest. 8 necklaces and bracelets: SOLD outright to a local resale shop. Well, except for the two bracelets Sis seems to find a liking for, and the necklace put aside for my friend Merry who has an inordinate love of primary colors…and in whose company, come to think of it, I bought the darn thing. 10 books to used-book store for store credit. I can always find another book or 5 to buy! Fairy-bunny-ballerina: Gave to the little girl down the street wearin’ the tutu she tools ’round the ‘hood in. The feather-covered balls I put aside for holiday-present decorations. If I don’t use them there, I’ll take them to the thrift shop where I took the wire-art shopping bag and 4 t-shirts which are too well-loved to consign, and the sea gull. Although full of priceless memories, its beak’s been mended. * Your mileage may vary. I seldom purchase anything “new”, so all my purchases were deals to begin with. That’s what happens when you ReSell, RePlace… you get to ReJoice! 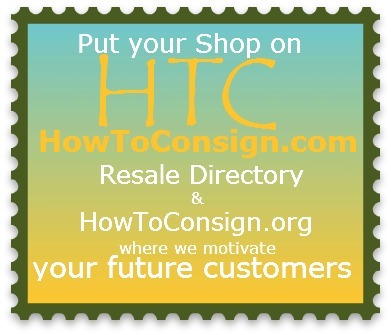 Find a shop near you on our Resale Shop Directory. Your favorite not there? Tell them they SHOULD be on HTC! 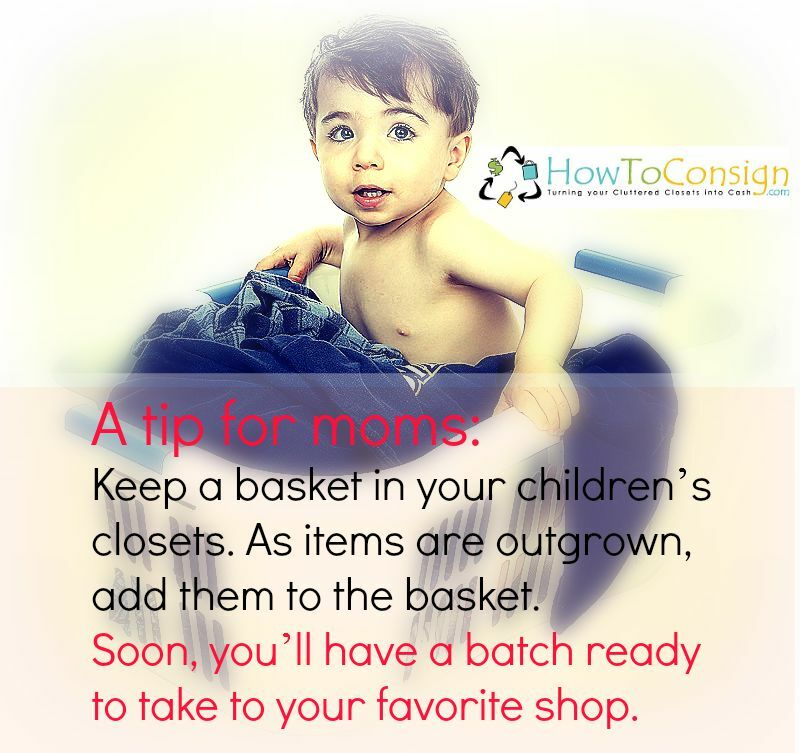 Keep a basket in your children’s closets to fill with outgrown or underloved clothing, toys, books. 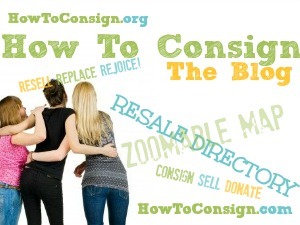 Soon, you’ll have a batch ready to take into the consignment or resale shop of your choice! the average American owns 52 things that, if they evaporated tomorrow, wouldn’t be missed. Step 1: Clear the Decks. Is it time to get rid of it? Sometimes it seems like our possessions possess us, instead of the other way around. If you are like the rest of us, there’s things you’ve accumulated that you really don’t need, want, or enjoy. Although it can be hard to part with belongings, there’s a simple way to see if you truly care about something. 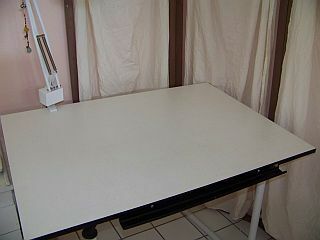 Put it aside, away, out of sight, in a cupboard, closet, or storage area. Three months later, go look at it. Did you miss it? Do you still want it? Love it? Is it adding to the quality of your life? 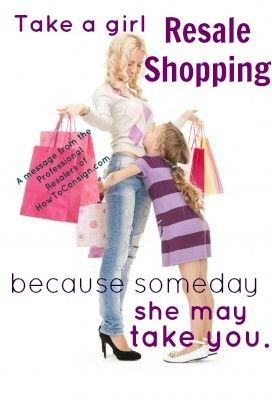 If not, call your local resale shop to see if it’s something they can find a good home for, at a profit to you. Chances are, one of our Sponsor shops can find someone who’s yearning for just that thing!